Two movies I have been watching and re-watching these last couple of days: ‘Funeral In Berlin‘ and the brand new ‘Tinker, Taylor, Soldier Spy’ movie adaptation of John LeCarré most famous novel. 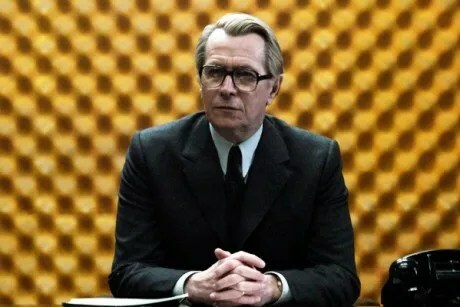 in fact, both are film adaptation of serial best-selling novels: George Smiley and Harry Palmer are two anti-hero spies, but with different characters, to say the least. Tinker Taylor circa 2011 is much darker than the 1970s TV Movie with Alec Guiness; but then again I guess it has to be so – although I suspect Gary Oldman‘s performance was closely following that of Guiness’, going by the book, so to speak: George Smiley is a withdrawn, taciturn old man who doesn’t really fit in with the James Bond common type of spy. John LeCarr’sé best book so far (although I would say the final opus of that Karla-Smiley struggle did top it up) draws apparently a lot from his experience as an intelligence officer with MI5 in Austria. 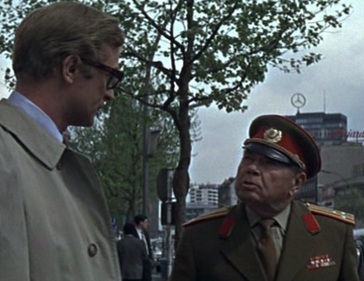 Harry Palmer, on the other hand, is a different kind of spy: a former Corporal with the British Army, coerced into joining the Intelligence Corps after he was convicted of petty crime when stationed in Berlin. His supervisors made use of his “criminal tendencies” (as cited in “The ICPRESS File” novel) to carry on the covert side of East/West confrontation, this time in Berlin, a flashpoint of the Cold War; Berlin again, where the Karla-Smiley confrontation finds its dénouement, with Karla surrendering to the British in “Smiley’s People” (Karla’s identity is hidden in the 2011 adaptation (Mike Sarne apparently played the part) but revealed quite openly in the 1970s TV movies, portrayed by Patrick Stewart – in a manner that mirrors Smiley’s placid character. 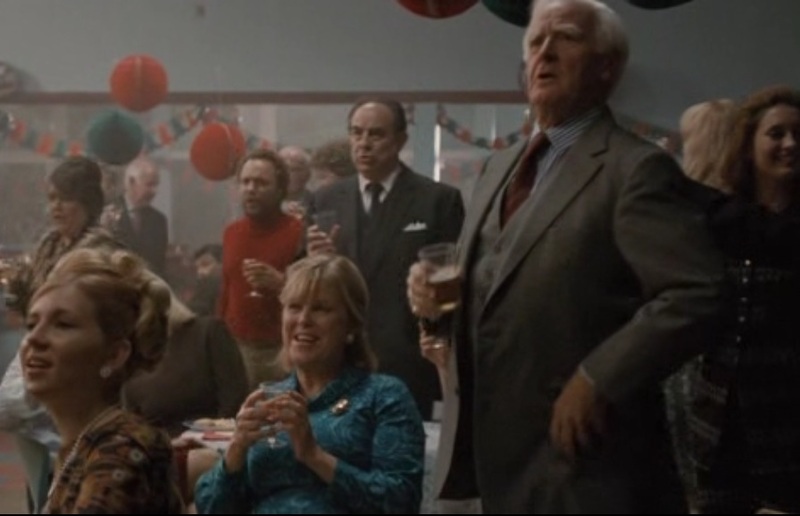 Oh, and LeCarré himself made a cameo appearance in the film, (humorously) singing the Soviet Anthem during a Circus’ Christmas party. The move has been very faithful to the novel’s narrative, very much so. I don’t know why I compared these two films/novels, but they do share a lot in common: they both depict the Cold War as it really was, much more nuanced and dark than blockbusters suggest. Back on the news front: twice nominated, never got to actually lay my hands on the much prized award. I guess Moroccan web-users have made up their minds about what they want to read and what blogs they enjoy. So congratulations for Lcassetta Blog, voted best 2012 Blog, and for winners from other categories. The honour of being twice nominated is quite sufficient for me, I guess. I have enjoyed a very refreshing, populist, funny, witty and spirited address delivered by our new Head Of Government, Abdelilah Benkirane. An hour-long address during which he wandered off-topic quite a lot; perhaps it is part of his personality to be as spontaneous as he can be, and I can understand it carries some charm -and electoral appeal- to his party. But showmanship could hurt him personally as a government leader and politician. His address was his opportunity to set the record in his favour. The great thing about the unusually intense media coverage (on social media at least) is that it might well prompt a new level of civic scrutiny of government work. In essence, PJD-led coalition government has to do with opposition within and outside parliament, as well as, I hope civic awareness to their policies. 2011 showed a substantial part of the real electorate can choose wisely, 2016 is proving to be an even more exciting election, and I am looking forward to it ;the run-off to the next parliamentary elections, regional and local, will prove this optimism right or wrong. Other than that, I have been working on a rather ambitious project – a Shadow Budget proposal of sorts, with detailed proposals on something I am increasingly considering as a sound fiscal policy: introducing a pre-computed Debt-Ceiling for the next budget year. 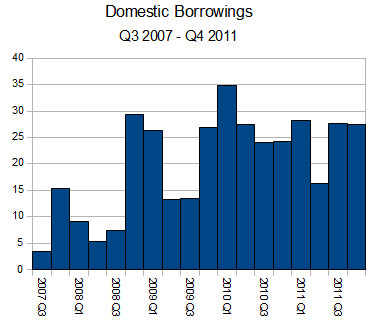 It’s fiscal discipline and it shows a government is determined not to let the deficit go crazy – unless it warrants it. And so far, running a structural deficit because of the 2008 unsound tax cuts made the couple of last budget laws rely more and more on public debt; as long as business cycles are on the upswing, it doesn’t really matter. But with a weak stock exchange performance and an expected contraction in foreign demand for Moroccan exports, it would be sound to switch as early as possible revenues back to taxation; a deterrent on debt-financed deficit would be simply to cap it, then make it difficult to raise that ceiling mid-year. But who cares really? The sad reality is, no one, media or politicians alike, dares to muddy their shirts and go down the numbers; taxations, fiscal exemptions, fiscal deficit and public debt surely can get technical at times, but still, the debate must start at one point. Or perhaps there is some kind of unspoken consensus running across party lines, including the pro-democracy platform, no to discuss matters that may well be more important than anything else: the livelihood of future generations. 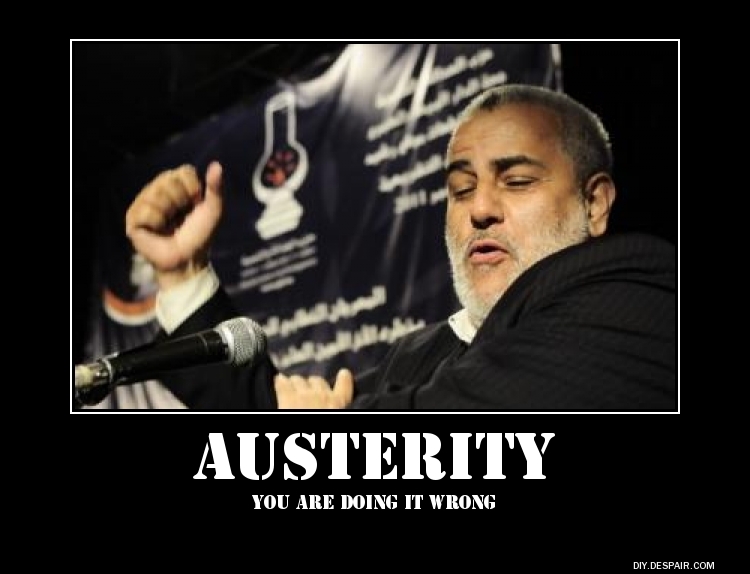 Koutla, Middle Class civil servant, Unions and radical activists. 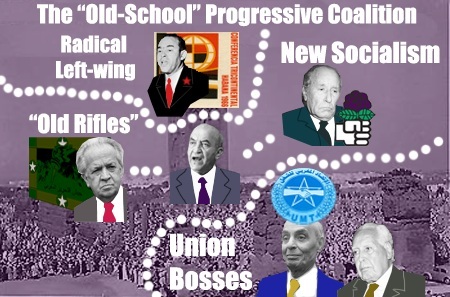 Give or take, this is the progressive coalition since 1956: contentious, heterogeneous, ready to sell out to seemingly ideological adversaries, and yet much keen to take to the high ground whenever the opportunity arises – USFP’s latest turncoat in opposition is a sight to see. These are just crude generalizations, though I can also provide specific instances of what seems to be an unstable coalition: the first cracks showed with the 1997 Alternance. And quite so, each partner had a divergent agenda, and what is more, there is a constant inner struggle between political organizations to take control of each others; energy initially thought to be devoted to further the ideal of progress was instead diverted into petty politics. 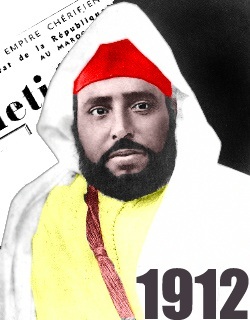 The first progressive coalition to emerge in post-1956 Moroccan election was the UNFP-UMT-ALM triumvirate: one political party, one party and one liberation armed organization. But it quickly turned out into a UNFP-UMT Doppleadler with little success to take over power by peaceful -nut not necessarily democratic- means: elections were rigged, and chances of a successful general strikes were stifled by regime oppression or union officials equivocations about their role as defenders of the “Masses”. What follows delivered serious blows to that coalition: student activists split from left-leaning parties, moderate elements from the same parties distanced themselves: 23 Mars and Ilal Amam in the early 1970s, USFP in 1972-1975 and CDT Union in 1978 are all striking evidences of that inherently fragile coalition for progressive values. History still leaves its fingerprints over the sorry state of progressive thinking in Morocco: sorry because two large, governmental left-leaning parties have long lost been discredited, and the host of smaller left-leaning parties have been blinded by -or made themselves blind with- Feb20 glitter of rejuvenation. Although I should mitigate this by stating the pre-2011 balance of power: the 2007 Elections have seen all left-leaning political parties garner 67 seats -on par with the RNI-UC alliance, and 21 more seats compared to the PJD caucus. 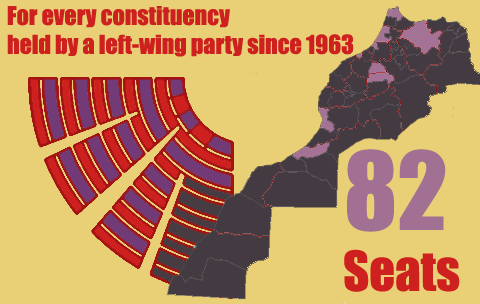 In fact, the Moroccan left could have carried a lot more seats (about 120) has it decided to run unique candidates to stand for parliament, and carried some 1,232,024 votes back then – some 23.66% of all electoral votes. How about the middle class civil servants? they made up until recently (say 2002) a sizeable chunk of the progressive coalition electorate; not out of love for progressive ideals, but perhaps because the liberal discourse in Morocco emphasised for a long time the need for fairness, the left has been advertising itself as a defender of the underdog; needless to say the underdog/populist discourse was echoed by union bosses as well: Noubir Amaoui CDT (former?) boss, a former schoolteacher, managed through populist and strong-worded speeches to make many Moroccan civil servants to identify with him. 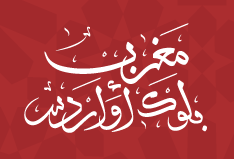 Paradoxically, that progressive coalition went even more fragile with the mid-late 1970s when the more moderate elements (USFP and later on OADP with the early 1980s) ditched their hard-liners, and accepted to go alone with the conservative elements; the Koutla from 1970 to the early 1990, formed on the premise of a ‘reasoned’ alliance to prepare for a peaceful alternative, traded ideological coherence for murky common historic struggles. The progressive coalition nowadays relies heavily on the new breed of activists, very much into Human Rights and specific causes; it tends to hurt more than anything else the coalition itself, because it inevitably falls into parochial interests: for sure, a small-coalition interest can do with specific issues, but this is a coalition with a self-allocated task of bringing people together, or indeed to be as inclusive as possible; needless to say, narrow -sometimes obtuse- dadas tend to alienate a lot of potential supporters of the progressive coalition. The first example to come to mind is this strange union fetishism: every left-wing party, from USFP to Annahj, tends to try very hard to take over a specific union to make it its own . This may be so because of an inherited -but no longer true- perception of unions’ political strength. This might also explain why USFP for instance never bothered to put forward a much needed Strikes and Industrial Relations bill in parliament when in office for the last 14 years to fill in a void ongoing since 1962. Human Rights issues were a good bet in 1979, when AMDH was founded, perhaps well into the early 2000s, too. But an HR obsession could -if it has not already- damage political activism in 2012. There is nothing wrong to stand for Human Rights, in fact, it is a noble pursuit that honours those who care for it. But there is a danger of depriving the mainstream discourse, more specifically the liberal and progressive discourse from any other topic worthy of public debate, thus permanently labelling every left-winger in Morocco as a potential “Looney HR”. It also induces the coalition to go into all-out opposition to the regime, because Human Rights violations occur inevitably (and more often that possible bearable). These abuses must be publicized and their perpetrators held accountable, no doubt about it, but by doing so systematically, the most committed members of that coalition fall into some kind of miserabilisme and tend to get blind-sided too: who cares about private monopolies cashing-in juicy profits when one (second-rate) pro Feb20 rapper is imprisoned? All-out opposition is also a killer, within as well as outside institutions: USFP -and to some extent, CDT and UMT- are represented in parliament, and recent news indicate the opposition caucus will be bitching a lot. As for extra-parliamentary opposition, and for all the talk about democracy and power to the people, their activism tends to side with the more obvious victims/dissidents: a rapper, a world champion boxer, the unemployed graduates, all of which drives the left-leaning pro-democracy platform into supporting narrow interest at the expenses of a wider, more comprehensive reform agenda. 82 seats - for old times' sake. 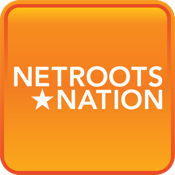 I would argue the progressive coalition has a huge potential in claiming back popular mandate: while it is true voters can be very shifty in their voting patterns, it is always possible to assume they would go back and vote for a particular candidate given some prerequisite indicators of good faith. Rabat, Casablanca, Tangiers and Agadir urban rings, long held by left-leaning candidates, concentrate now about 5 Mln urban voters and carry some 47 seats. In addition, Benimellal, Khouribga, Kenitra, Taounate, Alhuceimas, Taza, Tetuan, Fez and even Guelmim, at one point or the other in history, have been either carried by a left-leaning party or the aggregate left-leaning votes have captured a sizeable majority. In terms of current electoral votes, that’s 82 seats, almost PJD’s strength by the 2011 elections. Demographics changed meanwhile, to be sure, but the progressive coalition ought to outperform PJD’s victory – especially since both share similar constituencies. My point is, the coalition needs to be radically rebuilt and distance itself from the old “National Movement”: in with the fresh up-and-coming, out with the decrepit, and old. And that means specifically the Koutla has outlived its supposed term limit. Most importantly, agree on a wider platform that transcends parochial interest, which makes it more urgent to widen the coalition to a new constituency. Reading about the -finally!- upcoming government statement about their plans for the next 5 years prompted me into thinking about the 20 economic/fiscal policies I would endorse, or to that matter would like PSU leadership to consider and advocate for 2016 and beyond. My contribution on how growth can be boosted and benefit at the same time to the Middle Classes. How to get to a higher growth trend? First by focusing on stability rather than levels of growth; 7% average is of no interest if it means high volatility; growth gains are accrued best when volatility is low, and the proposed policies are targeted at stabilizing growth, basically setting a target growth -just like for M3 for instance. The immediate benefits are obvious; while it is true growth can be sort of stochastic process, nothing prevents us from compounding growth, i.e. computing the increase in wealth over half a decade for instance. 1/ An Agrarian Reform: more often than not, agricultural output, by sheer structural volatility, tends to slow down total growth. Dams didn’t change much; estate distribution still slows down agricultural output to the benefit of a small, tiny group of wealthy farmers. Average deviation of agricultural output over the last 40 years is about 2.3 times higher compared to that of non-agricultural output, and 2 times higher than the overall output growth. The mere fact that agricultural output volatility is at such high levels means all past policies -including the massive investment in dams during the late 1960s-early 1970s have been quite ineffective, since output productivity per worker is low compared to other sectors, specifically so when one considers that about 40% of workforce is enrolled in Agricultural production. 2/ Re-establish the agricultural tax ahead of the December 2013 moratorium deadline: Budget bills up to 2011 have been reasserting the moratorium on agricultural taxes will expire on December 2013. But so far no structural reforms have been carried out to justify such moratorium. And so, an immediate interruption would put pressure on government policy-makers to come up with a workable legislative framework not only to levy some fiscal receipts per exploited acre, but to establish precisely productivity differentials in terms of utilized surface, and thus direct more efficiently policies designed to help small farmers to face up their larger, wealthier opposite numbers. The Agri-tax will obviously target only about 60,000 farmers, making up for 15% of total SAU surface – those who actually benefit from the tax moratorium, basically. 3/ Drop Fiscal penalties on Cooperatives: it was the case for a long time; but because a modest cooperative from the outskirts of Agadir created a great deal of trouble to the very lucrative private monopoly of Central Laitière, a sneaky regulation taxed them up just to get the spoiled competitor on par with a very dynamic and original form of business, to the expenses of the final consumer and a very original business structure. 4/ Create small, regional applied research centres to improve productivity per acre: from the available agricultural survey data, small farms tend to have low productivity, which is due to either small surface or to labour-intensive exploitation. Small units of applied research, with a roster of technicians and experts for all farmers to provide counsel and support to expand their production. A system of tax credits can be engineered to price the service these regional agricultural centres provide to farmers. 5/ Eliminate ‘Special Funds’ from the budget and attach performance objectives for ministries to meet before they get additional funding: so far, there are about 52Bn appropriated for ‘Special Funds’ that do not submit to regular scrutiny procedure, and yet these do define in a way government policy outside their ministerial departments. In fact, the establishment of a debt ceiling can curtail the amount of discretionary spending through these special funds. 6/ Fix a Debt-ceiling on the public Budget: The standard reason for such a policy is to keep government deficit and debt in check; it also means fewer liquidities will be diverted for public expenditure, which means that government officials as well as members of parliament will have to be more efficient in their trade-offs. It is a question of fiscal discipline: discretionary spendings can be tempting for ministers to go crazy with their budget submission. 7/ Impose a short-term freeze on pay-wage and get mean payroll closer to the median salary: it sounds phony, but the discrepancies in civil service payroll are actually such that freezing or cutting salaries, not all of them obviously, are the only way to bridge the gap between the highest and lowest pay-grade, a ratio of about 1:37 according to a UNPAN report. The closer the mean gets to the median pay wage of 170,000 per annum, the better. So far, international indicators do point out the fact the current ratio of Moroccan adult citizens per civil servants (1:35) is sustainable and there is no need to expand, but rather reorganize the civil service: 600.000 civil servants, 2/3 of which work with central services; the idea is to reverse the ratio, so as to get a small and dedicated central civil service, while the bulk of officials would be working on the local or regional level. 8/ Re-instate the marginal income 42% tax rate, create a wealth tax on millionaires: its scrapping came to the cost of at least 7Bn every year, even though only a tiny minority of rich households benefit from it. Furthermore, and because the marginal 38% tax rate provides a break starting from about 180,000 per annum, there is a need to establish a wealth tax on millionaires, a specific rate of 60% can provide as much as 40Bn. 9/ Stop subsidizing real estate developers and use the money to help households for home ownership directly instead: 5.5 Billion tax breaks to developers vs 800 Million to household are perhaps the best available proxy for surplus transfer from consumer to suppliers; unfortunately, the transfer does not benefit the society as a whole; this is why some of the overall fiscal expenditure on real estate needs to be diverted to households; real estate business has such a large operating margin that they can do with not a tax increase, but an end to tax exemption, which can be dealt with in accounting just like a subsidy for investment. 10/ Provide cash relief of 700-1000 dirhams to the bottom 10% to boots their consumption: food stamps, tax credits, tax cuts, and other incentives to provide poorer and lower-middle classes with enough resources to lift themselves up to the average consumption and bridge the gap of wealth inequality; and that comes to the tenth of the tax break the top 10% benefit from when the 42% marginal rate was scrapped in 2008. Thanks to their structural consumption, no immediate impact will be observed on the trade balance deficit, and that will most certainly boost agricultural business to meet the new demand, thus filling the considerable capacity production created with the agrarian reform; no trade deficit, no increase in core inflation, and standards of living increase markedly. 11/ Phase out the Compensation Fund: 45 Billion is too much, and is basically subsidies the top tier of Moroccan households, as well as a small group of business that do not always report the same surplus transfer on consumer prices. This is why cash incentives, easier to target and less expensive; as for international commodity prices, Morocco’s imports represent a tiny percentage in global volumes, and that is why the Finance Ministry ought to consider hiring a team of brokers so as to trade the best terms in futures and options on strategic commodities. The total cost surely can be brought below the 45 Bn the taxpayer is paying for. 12/ Focus on terms of trades rather than trade deficit as a performance index for export industries policy: the trade deficit is sustainable as long as the terms of trades are in favour of Morocco. 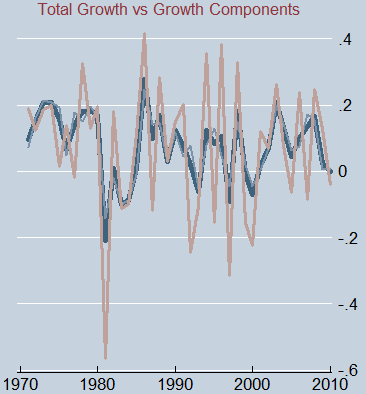 But the trouble is, the heavy trend indicates it is not, or that it is too volatile to consider structurally safe. 13/ Shift export subsidies to exports with highest value per physical unit: though there are less than 2Bn provided as fiscal incentives for exports, textile and related businesses benefit most from it, courtesy of the very powerful Textile lobby; and yet indicators show textile actually destroys value; while it is true this particular business provides jobs for many workers, a gradual shift to more value-added businesses can not only make up for the job destruction due to the subsidies shift from textile to other businesses, but they can actually create jobs, and at the same time redistribute the surplus captured by textile. 14/ Free up Universities by allowing them to get as much private funds as they can. 15/ Transfer universities into hyper-campus outside metropolitan cities – create one self-sufficient campus city in each region. 16/ Stop the ‘Grima’ system altogether, offer a deal for incumbent grima-holders: unless figures are released on that touchy subject, but so far indicators point out to a very unfair system where insiders benefit more from closed businesses. And whenever a particular sector is protected, consumers are harmed: transports, fishery, sand careers, alcohol, import/export licenses… all of these sectors once regulated in the late 1950s should now be liberalized because they harm more than anything consumer welfare. 17/ Start working week with Sunday: a simple computation leads to a modest boost in productivity, and thus in GDP growth: there are 48 working weeks per year, and for every Friday half a day is squarely lost; moving forward the week-end to Thursday evening would save as much as 0.2 basis points of output growth, or approximately 25 Billion dirhams, perhaps 5 to 6 Billion in additional tax receipts. 18/ Differentiate retirement age, from 55 to 67: the Unions need to be taken on board, but a uniform retirement age across the board tends to harm a specific population more than the other. 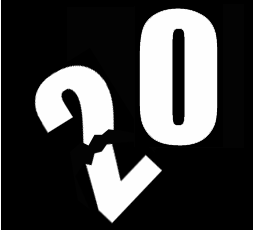 Furthermore, and starting from 2010, the number of minors has started to decline, which means that in 10 years’ time, considering no change in demographic indicators, there will be a need to retire workers later, and the sooner contingency and transition plans are implemented, the better conditions will be for a whole new generation for business and at the same time provide safeguards for health and insurance costs. 19/ Relax paperwork needed to create businesses: this is the most straightforward measure needed to bring undeclared business out of the shadow and into the legal limelight: all that is needed is to justify a capital of, say 5,000 dirhams, no past criminal records and no past history of bankruptcies. 20/ Spend 30 Bn per annum in Research and Development: so as to get productivity contribution to growth from 0.16 basis point to 1-2 full points and over a decade or so, push the boundary of potential growth beyond 5% and up to 7% with the same level of stability. It’s a bit of a lullaby, more of a leitmotiv really: many dedicated Feb20 activists and supporters believe the Regime is burning their last fuses to save its skin. I would tend to offer a different point of view, though the premise of both theories is one. The fuse theory is a good example of how the Makhzen apparatus works: as a small-coalition government, there is every now and then a growing resentment with say, elite circulation or social mobility, or indeed the widening wealth gap among the lesser population, not lucky enough to carry the right family name or degree to be co-opted. And so, the ‘Blob’ neutralizes a potentially troublesome player by giving in seemingly on what they covet most: in Mr Benkirane’s case, his appointment as Head Of Government was Aid Kebir come true. He wanted to be the guy who got the moderate Islamists into government, and that he did. He has made it into the history books, and it is up to his party to live up to this promise. A Win-Win for both the palace and PJD, to the tune of 45% turnout and the fairest elections yet. But this is not how the regular Feb20 fan would see things: the PJD election is a last-ditch effort to defuse public discontentment, and sooner or later, this unpopular government will crumble before our very eyes, and only then the regime will officially start to negotiate by then with a victorious Feb20 movement. The script goes wrong however, for it understates, or completely preclude other variables. – Numbers that do not exist: PJD has mustered a historic 1 Million votes (historic for one single opposition party, that is) and well, in so far, there are no quantitative measures to speak of when it comes to the Feb20 coalition-building, and that is the clinch of the game: a social movement keen on changing things cannot afford to entertain a foggy estimation of their strength. And for a group of people ready to take to the street every Sunday, the sole indicator of popularity and efficiency remains the number of demonstrators; and the way I see it, this is a losing battle; So buying off PJD for government does look like an overkill as per the fuse theory: if anything, the coalition will last in all likelihood all the way up to 2016. 5 years are too long a time horizon for the movement to sustain itself, not the least in terms of popular support, if any. – What the movement wants: no way a constitutional reform is back on the table in a year’s notice, let alone the dissolution of government or parliament; liberation of political detainees, well… easy come easy go, and even if HRW frowns upon Morocco’s less than pristine Human Rights record, our officials can afford to look bad, in fact, every released prisoner is a show of good faith, and it keeps the Feb20 crowd busy, losing sight of the broader picture. The remaining pieces of the agenda are less consensual, though. The remaining points are policy measures the motley of platforms within the movement will clash on: minimum wage, employing jobless graduates and improving public services involves a lot of technocratic stuff that many Feb20 slogans have abandoned; And the truth is, the constitutional reforms and human rights are basically the only slogans vague enough for many HR activists to rally behind; anything beyond it is so contentious that every interest just gives in to a blurry consensus. – No One Speaks for the People: it is just right down pretentious to believe that the movement speaks for the people as a whole. No one does in fact, and there is no way to check it out unless one is running a successful and reliable polling company. The movement speaks for a coalition, a subset of the heterogeneous crowd, and so far that coalition has failed to move up from the initial stage of breaking ice to boosting up organizations and parties. Bottom line: there are other ways for pro-democracy activists to show their strength and in their own terms – get people registered to boost the electoral corps, lobby policy-makers through policy proposals, and most of all, re-arrange priorities. I assume a pro-democracy platform looks for the broader and most inclusive coalition of interest; then go to the bottom of it and hit on the hot buttons: a simple link between private monopolies and the high level of prices is just enough to get a lot of people behind the cause, for instance. While it is true these slogans are chanted from time to time, they are not the centre-piece of Feb20 agenda, even though these particular bread-and-butter issues are more likely to cause damage, not the release of a second-rate rapper. In a sense, it is rather the movement, not the regime, that is running out of time.